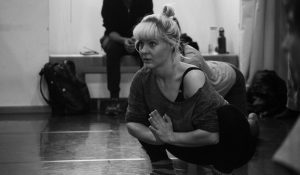 Maja is a contemporary dancer, choreographer and teacher currently based in Vienna and Rotterdam. She started dancing in her early childhood with training in Ballet and Sports Acrobatics, later on advancing towards Modern and Contemporary dance. She completed her professional studies in Contemporary Dance at Conservatory Vienna University and Dance Pedagogy at Anton Bruckner University Linz. Besides her contemporary training Maja’s work is complemented by other movement techniques such as Latin dancing, partner acrobatics and circus.